Not many umpiring careers have started as a result of high school detention but there is one umpire amongst us, who because his teacher didn’t know what to do with him, made him goal umpire a year 10 game, and the rest is history. 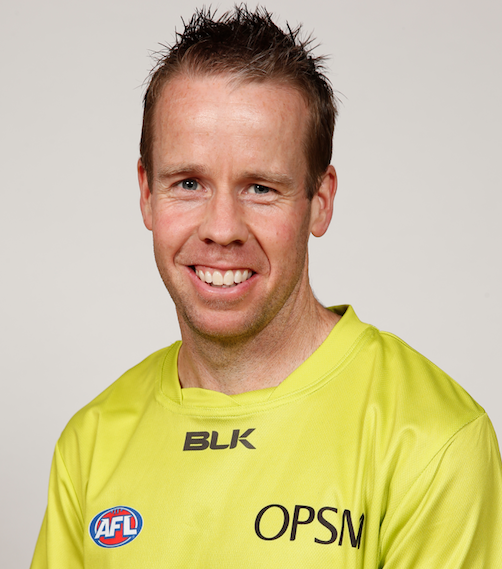 Steve Piperno took up goal umpiring a few months later and after a number of years with the VFL made his AFL debut in the North Melbourne v Brisbane match on Sunday 12 April 2015. 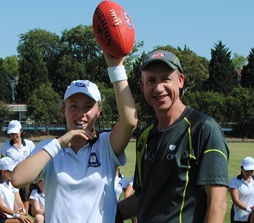 Steve umpired a final in only his second year on the AFL squad and added the Anzac Day match to his list of achievements this year. Whilst Steve cherishes his VFL grand finals, the Port Adelaide v West Coast elimination final that went into extra time last year was a game that stood out as his most enjoyable and pressured experience of his career to date. Anzac Day was a humbling experience, on such a big day, in front of a huge crowd at the MCG. Steve is proud of his composure during games, even in moments of panic when he somehow makes it look like he’s calm and in control. “Goal umpiring is constantly becoming more and more technical. There are so many different instructions and processes for different situations which is always changing and evolving.” However, Steve relishes that pressure on the AFL stage. Well done Steve on your 50th game milestone and best of luck for the remainder of the season!